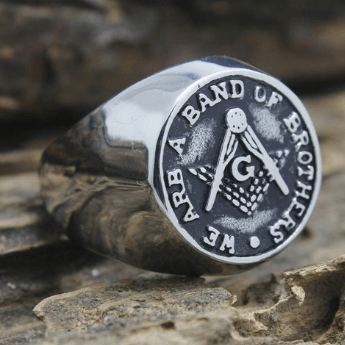 What are the benefits of being a Freemason? Today’s post is directed towards those that have yet to join Masonry and are wondering what the benefits of becoming a member are. If you are thinking of joining this Craft and you’re wondering what you will get out of your membership, then this is for you. I’ve compiled a small list to detail just some of the benefits of being a Freemason. This will hopefully help you see what you’re getting yourself into and what to expect. I also included a short list of what people think the benefits are but as you’ll soon find out; things may be different from what you’ve heard/read in the past. When you join Freemasonry, you now have a network of 6 million brothers worldwide. You’re lucky to have about a dozen of those meet in the Lodge you’ll be initiated it in and they will treat you as a Brother from the first day you join. The respect I receive from my brothers blows me away every time it is needed. Those 6 million brothers are spread into (nearly) EVERY country on this face of this planet. Anywhere you go in the world; you can rest assured that you have a Brother somewhere close-by. You can visit any lodge in the world and attend Lodge meetings with your brothers. It’s really amazing to travel to lodges worldwide and witness how they work the Craft and their degrees. It may be slightly different from what you’re used to, but the love and respect will always be there. When you get initiated you’ll be part of this “legacy” that has a very, very long history. You’ll be part of a fraternity that has had Kings & Presidents in its ranks – treat it accordingly. One of the most amazing things is that in every lodge; every brother is equal. There is no special treatment just because of your social status. In the lodge, all brethren are treated equally. Personally, I know millionaires that do the “not-so-glamorous” work in the lodge and they do it proudly knowing that they are serving a Fraternity that is way bigger than them. 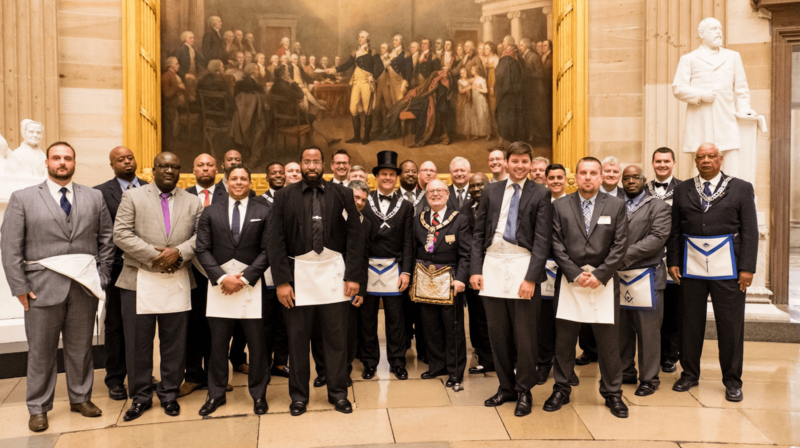 It’s just amazing to see men from all over the world, of different races and religions all getting along keeping the masonic traditions alive. Freemasonry takes good men and makes them better. That is one of the main principles you’ll learn when you become a Freemason. You’ll learn how to better treat your fellow man and how to go about life fair and square with the world. Sure you can be a better person without Freemasonry, it’s just being a Freemason is one way to do it! Once you’re part of a lodge, you would have your annual fees to pay. Most of these fees are used to cover the expenses of the lodge and to be spent on Charity. Freemasons donate millions to building children’s hospitals, help underprivileged communities, disaster reliefs, etc and much much more. See more about Masonic Charities here. You make money from Masonry: False! As I just said: Freemasonry costs money to join. You’ll get rich: False! You can’t get rich off Freemasonry. 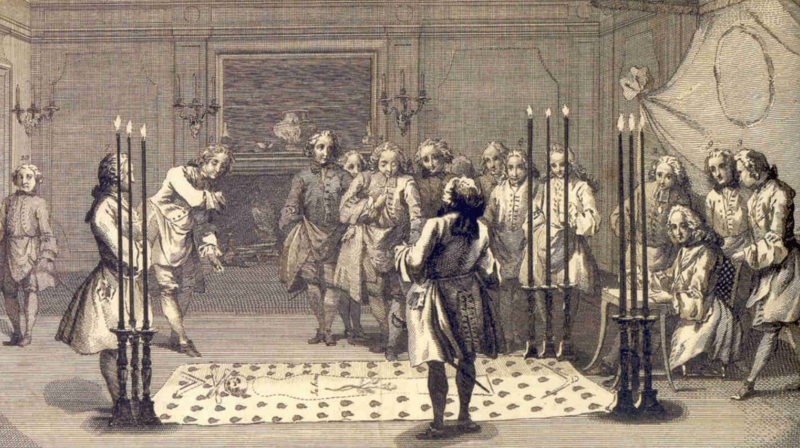 See our post “Can Freemasonry Make You Rich” for a more detailed explanation. You make connections to further your business: TRUE! But this can be done within any social group and community. You’ll run the world: Totally absurd! What Does A Freemason Do? 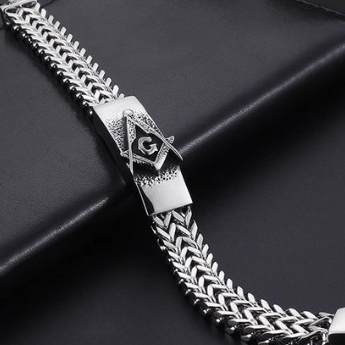 Now that you have learned all the benefits of being a Freemason and what you’ll be able to take out of it, let’s talk about what is required of you to be a member. There will be many things for you to do, and they will all be explained to you before your initiation so you know exactly what is expected off you, but do not worry; it mostly involves being a man with a strong moral compass. Of course, I can’t reveal too much information here, but trust me; Freemasonry is worth the journey. The points listed above have been what I think are some of the major benefits of Freemasonry. 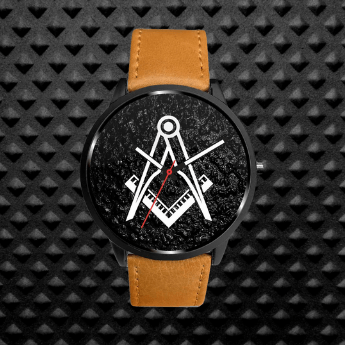 I am a relatively new Mason (5 years in now) and I am sure that throughout the years ahead I’m going to find out much more. If you’re a freemason already and feel I missed out on an important benefit, please do let us know in the comments below. We’d love to hear some feedback from Masons across the world on what exactly is the point of Freemasonry and why they have become Masons themselves. Thank you for reading, I hope you enjoyed your time here! Best yet! Thank you Brother. I am sharing this with my other Brothers. Superb! Thanks a lot for the information. A wholesome life is yours for the living masons just give you a guide and a discipline to follow with it . My Grandfather and father have many many friends and brothers in masonry very good God loving people in my estimation i think of it as a social network unplugged ! As far as paying Dues you pay dues at a country club and get less knowledge from it than you do from Masonry in my view Masonry can be a great way of life and a great path to learning Brotherhood in God ! Do freemasonry believe in Jesus Christ? Am willing to join but I wanted to be sure if i can still take Jesus as my saviour? my future son-in-law showed me a plaque of him and his grandfather who was a freemason and a auditor. i told him to go down to the city(new york)and look into his grandfathers time with them. would it be of benefit to him,and would it be possible for him to join. my son-in-law is a police officer with the DEP. your advice would be wellcomed! I have challenges paying my school fees, and it seems I may drop out of school due to that. Can I get help from the fraternity if I join? 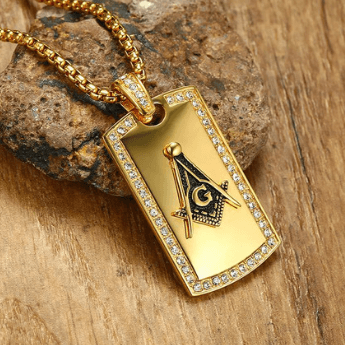 Check out our article on How To Become A Freemason. Thanks for the info im thinking about joining not sure yet and wondering if i could afford to join depending on fees. Fees range from lodge to lodge, if you think one is “expensive” try another one. See our post how to become a freemason. All great point…… The only regret I have about being a freemason is, I didn’t join sooner in life…. Great insite to the craft, I will save it and pass it on when ever I can. Feel free to contact us in private. I love the way you impart this information, so many time that I wish I had this when I first start from the darkness in to the light and as I continue I get so much light that I am going to return a man with even more light to impart with to other. Please I was try to join the masonic group but there is a some thing confuse me is,’ if I joint masonry I may get opportunity to be giving money and car as a New member. No you will not get anything when you become a member. Please do not join any lodge that says you will! There are a lot of scams happening like this. Once again another great article for those wanting to join & for some all ready Brother’s. Thanks you so much, you are a man of wisdom! I want to join in this family, please help me. 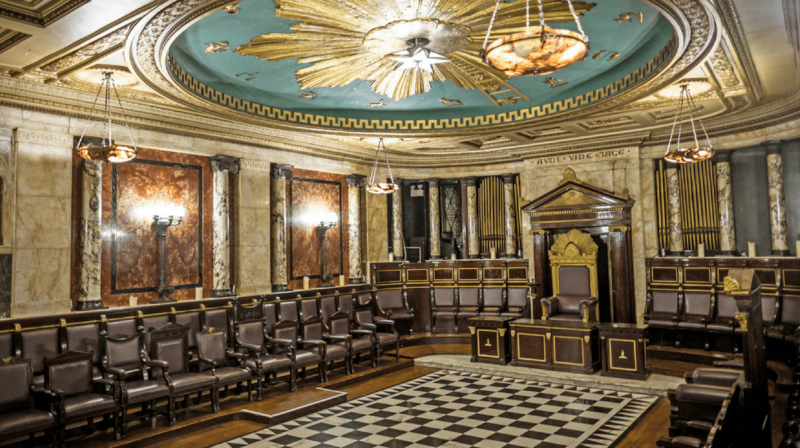 See our guide on how to join the freemasons here. Ive only been on this website for 10 minutes and its been so helpfull. Glad to hear Chris. Hope you enjoyed your first degree! 🙂 Mind blowing right? Welcome to the brotherhood, brother! I studied film and tv technology and graduated in 2014 , I don’t have a good job nor earn that much …. can i join the family? Please am a women in Ghana in west Africa am not working can I join the freemasonry? If yes then please help me to join. I actually had a simple, complicated question. I don’t practice the Christian faith and I live in the US. But from the quotes and wisdoms of the masons, I have been entrigued. So to my question, do I have to follow the Abrahamic religions to become a brother? No, ever mason is free to follow his own religion. Masonry does not require you to follow a certain religion. Sorry but It can’t brother. Freemasonry will not give you money. I’ve really enjoyed this piece of information. Buh I ave a question to ask. please what’s the difference between Freemasonry and Illuminati? It has always been my wish to become a mason,i want to become a better man and find myself in the midst of better and dignified organisation.ive read a lot about freemasonry and I really wanna join,not because of money or fame or anything flashy,my dream is to become a better man with good morality with mankind though there’re many ways to become a better man but I believe freemason is the best means to accept your goodness in the midst of million of better men.i am in Kumasi and want to deliver my letter to the Secretary but I know no branch in kumasi,Ghana.can you please help me out??? Thanks for the info.I would like to join but I need more time to think,im a Christian im also thinking if joining will not conflicts with Christianity. What are the consequences of quitting the Craft. Nothing much really happens. But why are you thinking of quitting ? All of these statements are considered as a series of Truths . But in my opinion freemasonry during these centuries was never defeated why? That’s obvious because it was never been formed as an idiology ; idiology are always adjudged to be failured ; idiology is a hard, harsh and intolerant phenomenon while freemasonry was \ is \ will be an open idea – philosophical and logical at the same time which can be corrected by a suggestion or a simple hint . To writing about ‘ The Benefits Of Being A Freemasonry ‘ is not absurd but is tautological to some extent . Being a Mason, Being a Freemason is a great Benefit indispensiblity, on the one hand and has a numerous benefits on the other hand, namely threre is ‘ there are no any limits for and freemasonry’s benefits goes to infinity . ( This note was written suddenly and without any draft or rough copy . I hope for reader’s connivance and their kind indulgence . I’m proud of to be a freemason, personaly . What will be happened if actually I become a freemason? One of the greatest feelings is becoming a Mason. What you put in is what you get out. Learning the craft and sharing fellowship with your brothers is beautiful. Doesn’t matter what walk of life you come from, everyone is treated equal. The charity is heart-warming to know your helping those in need. Hope all my brothers across the world, is doing good! I’m living in iran and i want to be a mason. based on researches the nearest lodge in is istanbul . so could go there and join the brotherhood?my problem is that i cant be in turky for a long time i just can go once every month . so despite all this . is it possible for me to be a member? Is the Sabean Ritual Order or the Golden Dawn apart of the Masons? It’s not the same as Freemasonry, but they have a lot of things in common with Freemasonry. See this here. 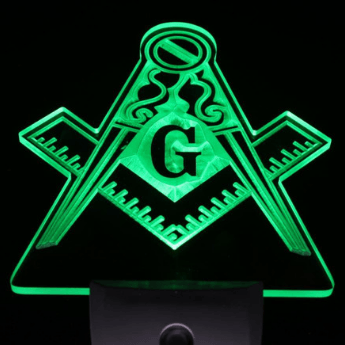 I am in the 18th and have found Masons to be a marvelous group of people with high moral values. The Brethern are supportive of one another and many charities. I sincerely believe that I have been enriched by coming into contact with persons from diverse backgrounds that I would not have met under other circumstances. I Mason from Russia. I’ve been in a fraternity for 12 years. Everything that is written in this article is the absolute truth.